A spot treatment stick by Cocokind Collective. 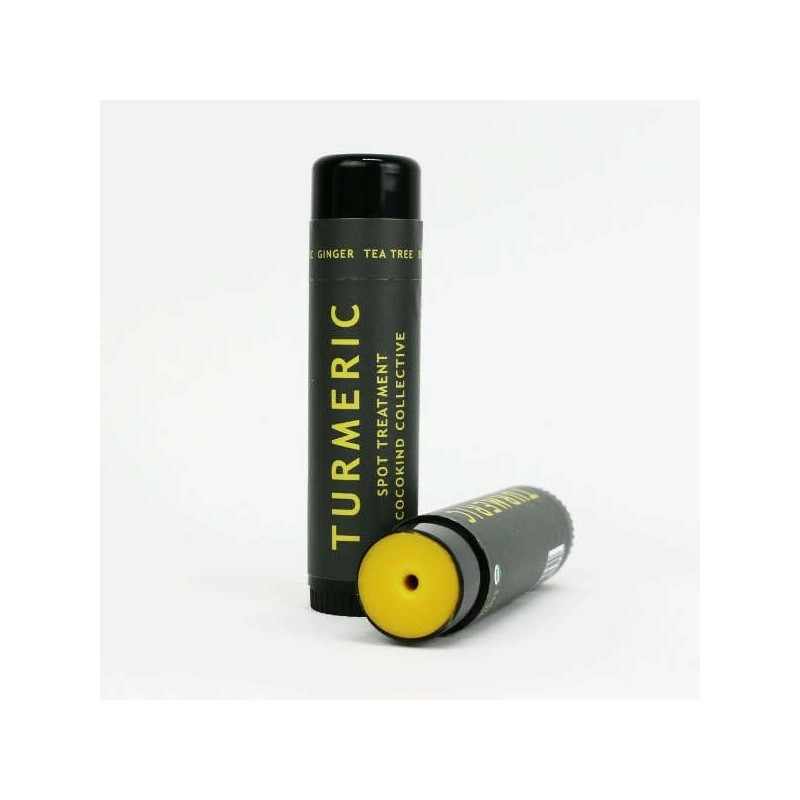 This TURMERIC stick uses organic Tea Tree, Turmeric and Ginger root for blemish fighting and skin brightening, while sunflower oil soothes and calms the skin. With just four organic ingredients, it's perfect for on-the-go applications. 15ml. Pure, nutritious and meaningful skincare: Always ethically sourced and never tested on animals. Sunflower Oil is a high source of antioxidants & fatty acids and soothes irritation. Beeswax seals in moisture, protects the skin and is an anti-allergenic. 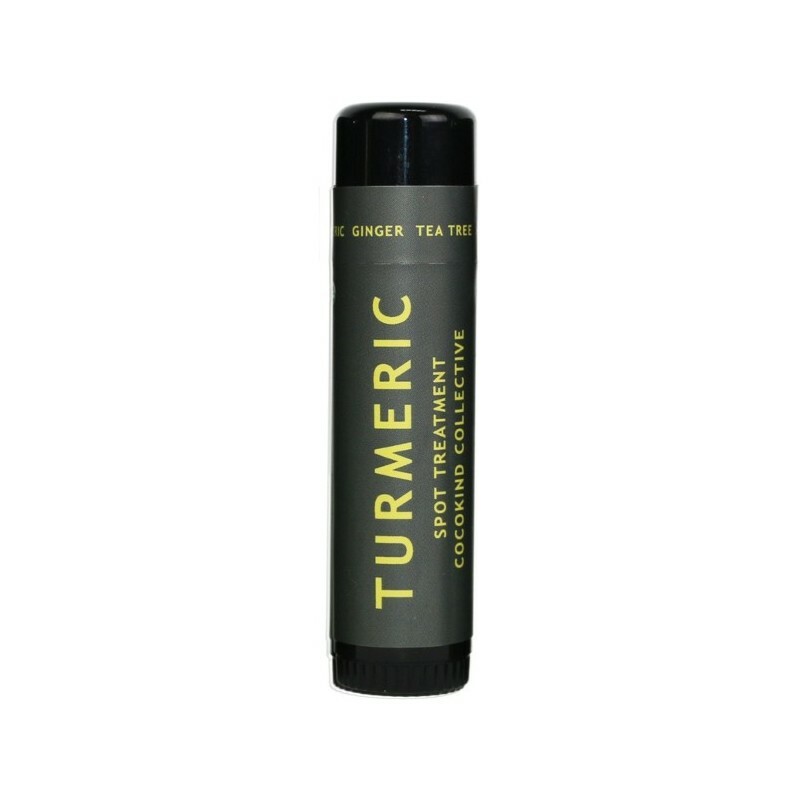 Turmeric absorbs excess oil, is antibacterial and an anti-inflammatory. 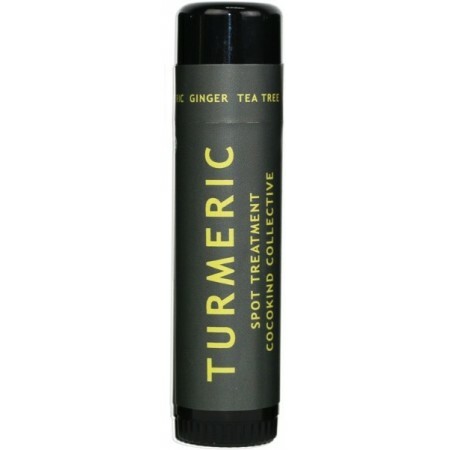 Ginger Root stimulates the skin, is a powerful antiseptic, antimicrobial and an anti-inflammatory. Tea Tree Oil unclogs pores and is a powerful disinfectant and antibacterial. Apply liberally over affected area for 10-20 minutes. Rinse off with warm water. Free from parabens, preservatives, chemicals, gluten, alcohol, GMOs and fragrances. Organic sunflower oil, organic beeswax, organic turmeric, organic ginger root, organic tea tree oil. 15ml (0.5oz). 9cm x 2cm. Wind-up stick.